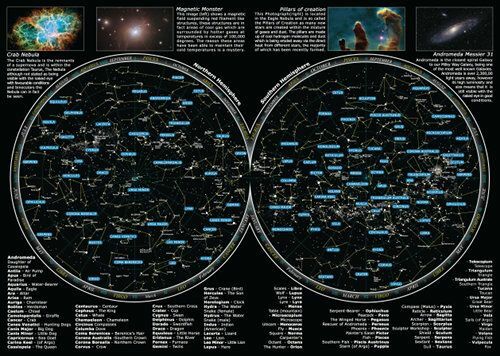 The Star Map is a great addition to the gift package! 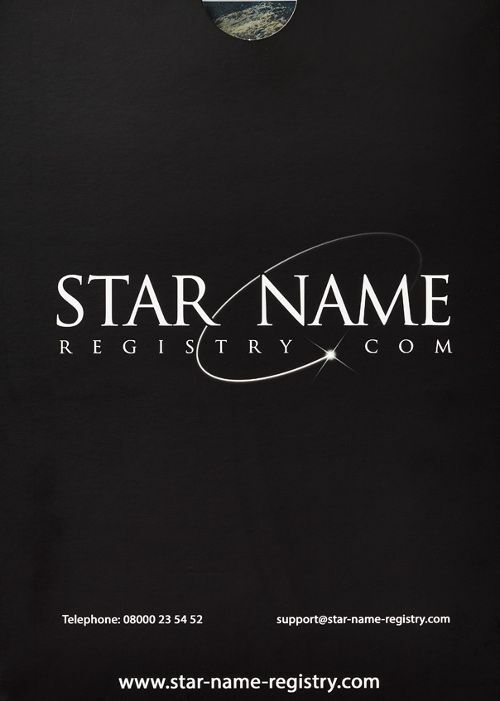 Showing exactly where your star is located on the celestial map, it makes it easier for you to find your star. 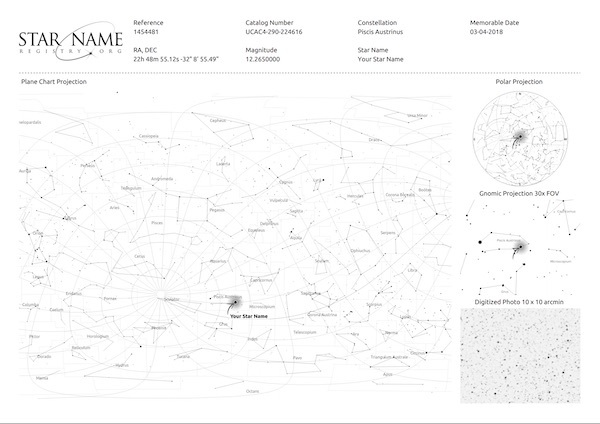 Each Star Map is unique and points the location of your star as well as other important celestial bodies, such as constellations or the North Star, that are within it's vicinity. 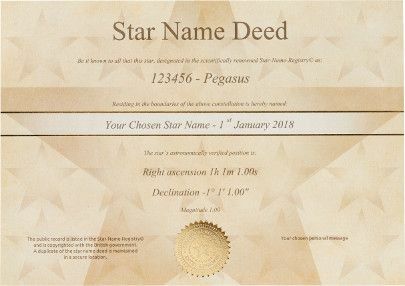 The Map also includes a digitized photo of your star, so its easy to show the gift recipient how their star looks like without having to use a telescope. 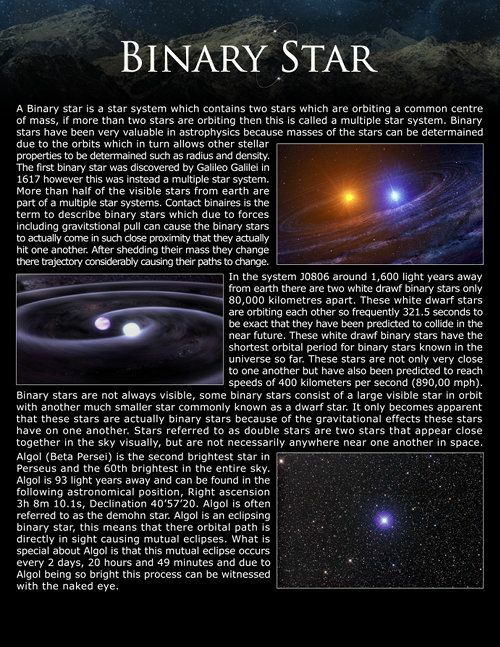 Name a binary star system and choose 1 or 2 names. 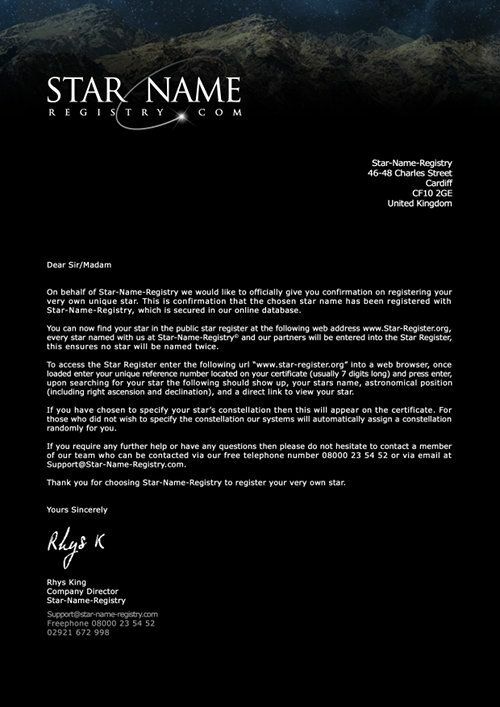 We will enter the name into star-register.org © and then send you the contents of your name a star package to you with all of your chosen details. However we do recommend taking a look at our framed and boxed version which really shows of the gift in its best light. For the quickest delivery pick email delivery, sent to you within 10 minutes of ordering. To see our full product range, please visit our Gallery!